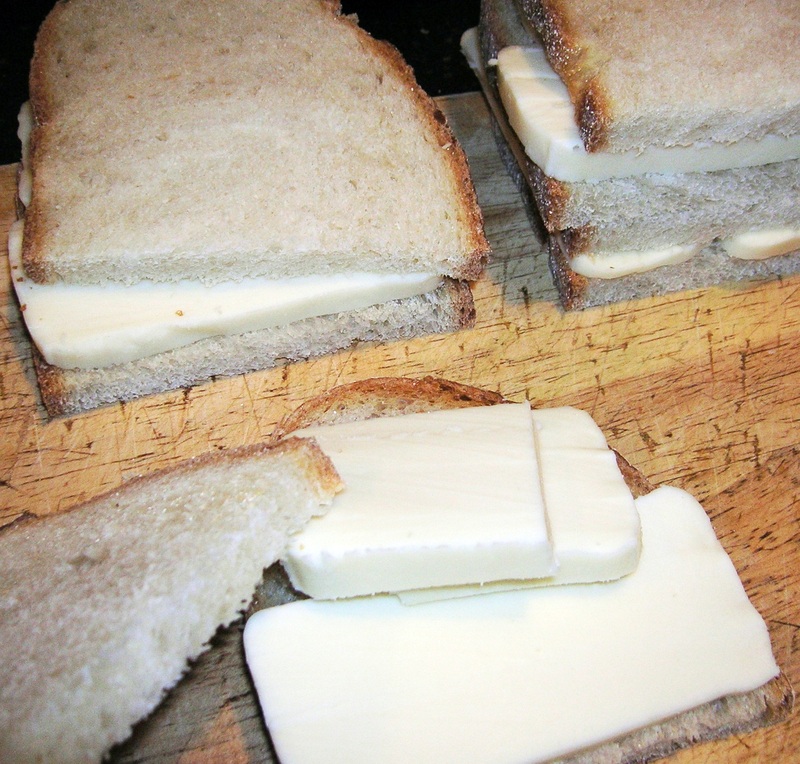 Grandma Isabella used to make these delicious sandwiches for us as snacks. On an occasion they would be part of an assorted meal including salad and soppressata and olives and cheese. Anyway they were served, they were delicious…and simple. 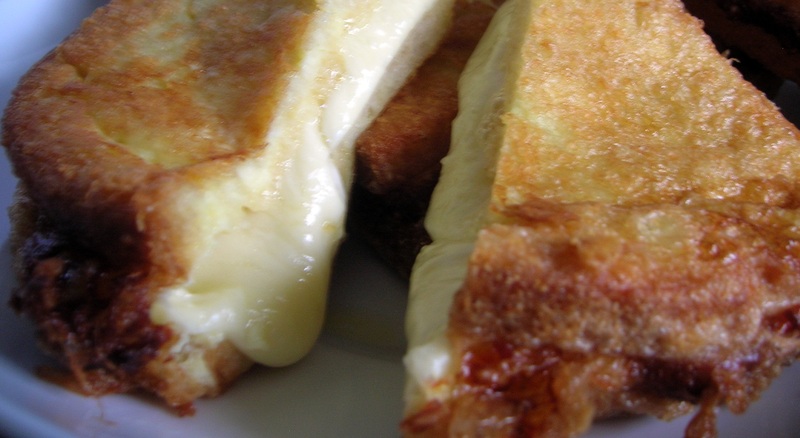 In essence, these are Italian grilled cheese sandwiches. The difference is the bread, cheese and dipping them in egg and frying them. OK, so their grilled cheese sandwiches on steroids. I believe the secret in this sandwich is the type of bread you use. Grandma Isabella used to go to the corner Italian bread store on 69th Street and Ft. Hamilton Parkway in Brooklyn and buy a loaf of round Italian bread and have the store slice it in their slicer. 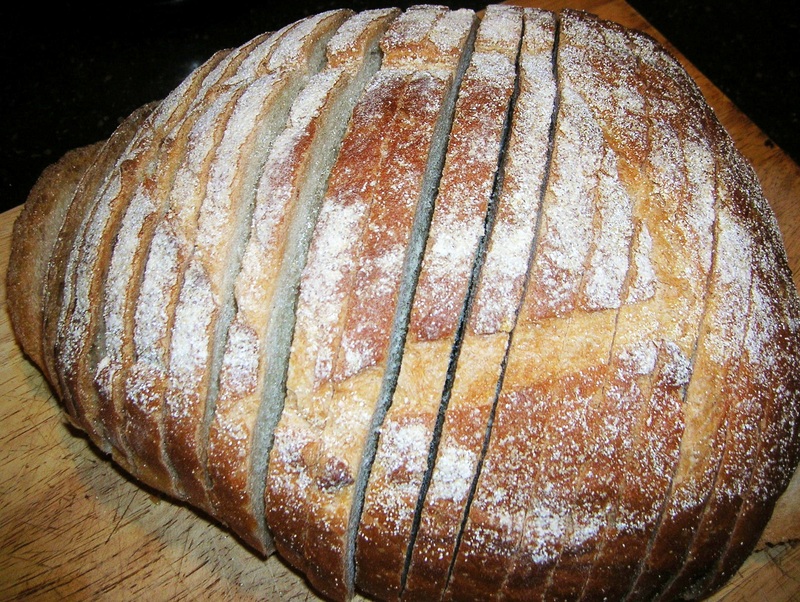 The crust was crispy and dense and the center of the bread had great crumb to it. It was also a huge loaf of bread and she would take each slice and cut it in half to make the two sides of the sandwich. Once prepared they were eaten hot right out of the frying pan. They were crispy and crunchy on the outside and the hot mozzarella would ooze out when you bit into the sandwich and stretch out of your mouth like you were eating a slice of pizza. It was awesome. Some restaurants serve Mozzarella en Carozza with an anchovy caper sauce and with the crust cut off of the bread. To each his own. This is not the way we ate these sandwiches. When made at home this is the way we did it. They are perfect for a late night supper, an any time snack, or part of a meal with a salad and other finger food. The key to this dish is the bread. It needs to be a round loaf of Italian bread store sliced. 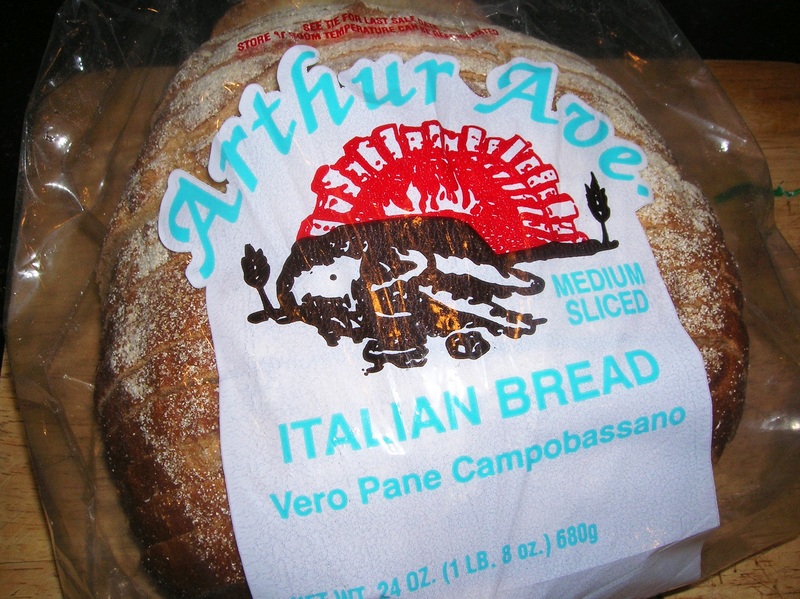 If you don’t have an Italian bread store nearby, many supermarkets sell sliced Italian bread. It really makes all the difference. 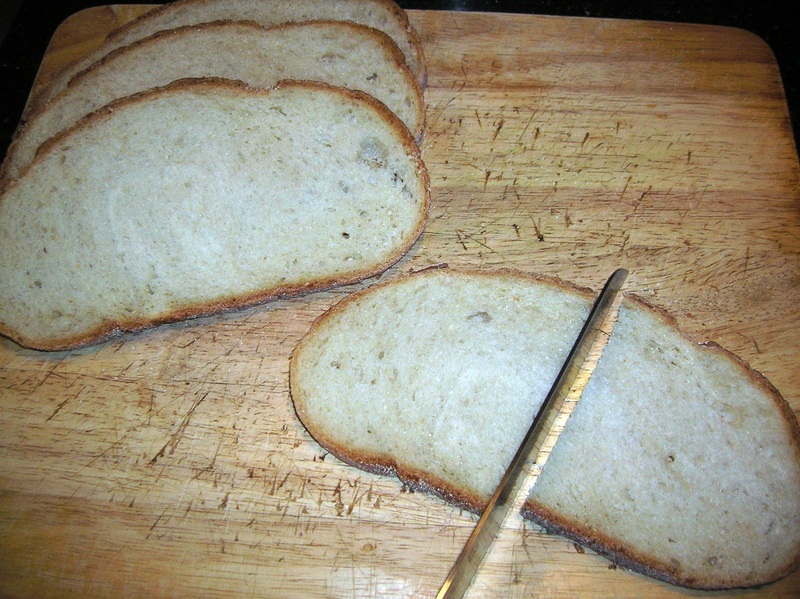 Take four slices and cut each slice in half and pair them. 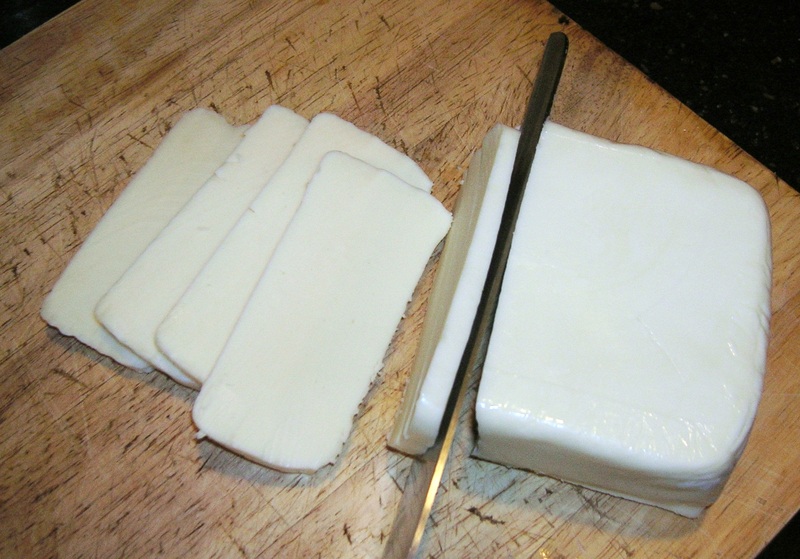 Slice the mozzarella and place about two slices so they fit entirely inside the sandwich. Once all the sandwiches are made beat the 5 eggs in a large bowl and add the water, grated cheese and a few pinches of salt. Do not dip the sandwiches into the egg mixture until you are ready to fry them. They have to go from the egg to the fryer right away. Heat about 2 inches of oil in a large frying pan to 350 degrees. Dip the sandwiches in the egg on both sides and place immediately into the hot oil. Dip only the sandwiches you can fit into the pan. Fry about 3 minutes on each side until the sandwiches are golden brown. Place on absorbent paper towel to absorb some of the oil once cooked. 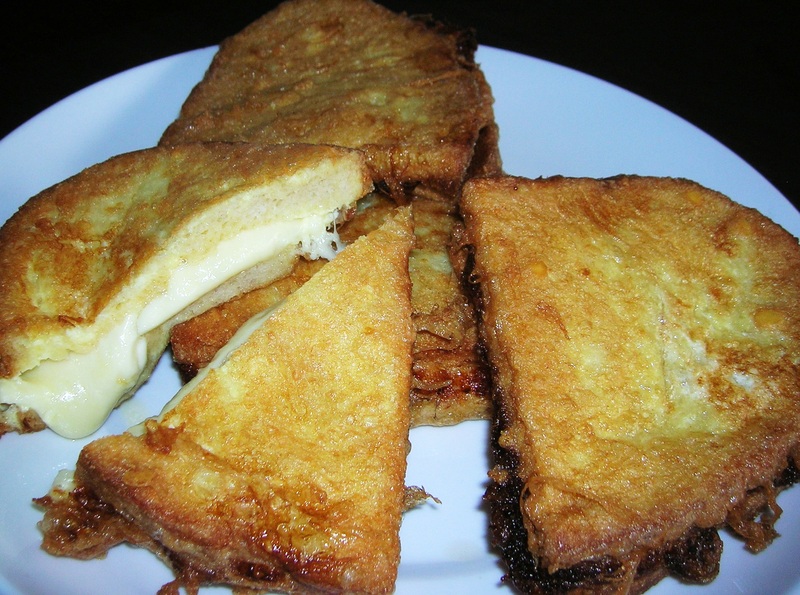 This entry was posted in Antipasto, Bread, eggs and tagged mozzarella en carozza. Bookmark the permalink. Peter is the poster child for growing up Italian. This is such an easy recipe, but makes your mouth water. 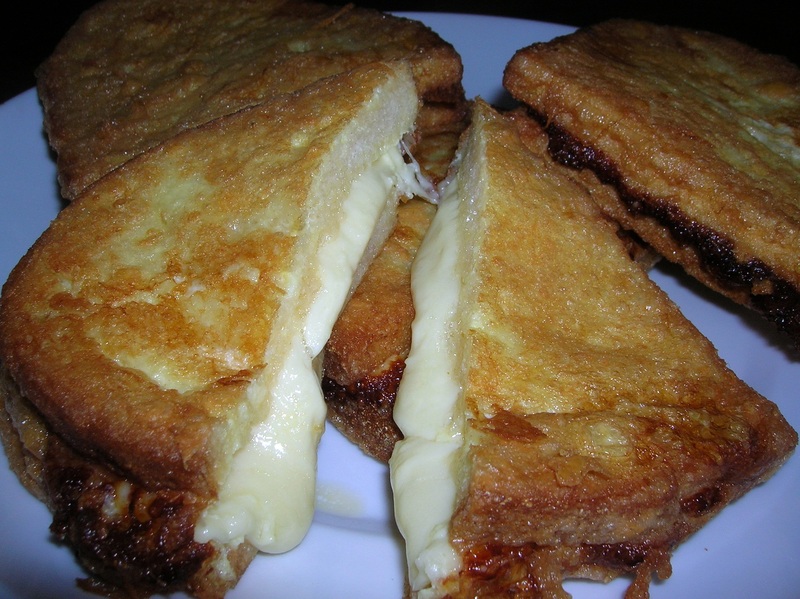 An Italian grilled cheese sandwich. Mangia! Love these – by any chance, do you have a recipe for the anchovy sauce that sometimes goes over them?!!! It’s a simple sauce made with a stick of unsalted butter,2-3 flat anchovy fillets, finely chopped, 2 tablespoons drained capers, juice of half lemon and a couple of tablespoons of fresh chopped parsley. Melt the butter over medium heat and add the anchovy. Stif till the anchovy disolves. Remove from the heat and add the rest of the ingredients. 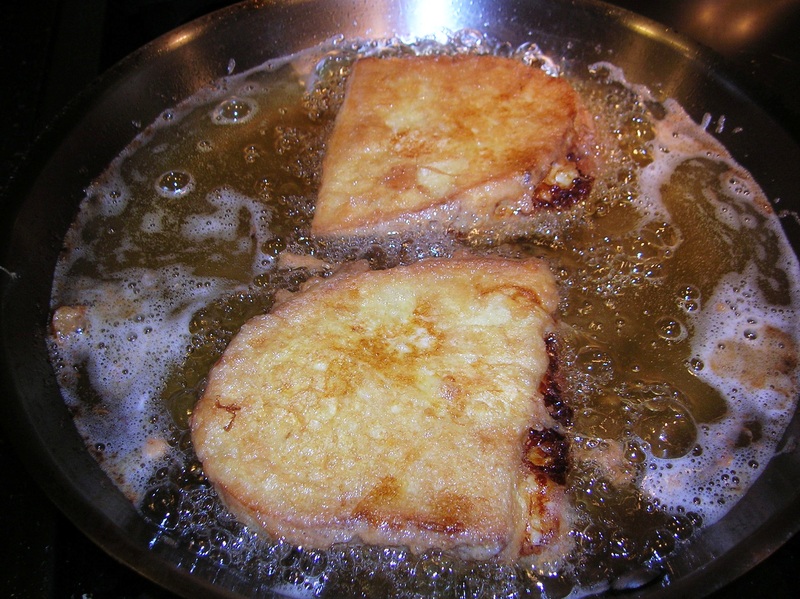 Pour it warm over the Mozzarella en Carozza.